The Mecure was very comfortable for a 1 night stay whilst waiting for our next flight. Basic comfortable accommodation, convenient location. Restaurant food was very good. Best place to stay. Near to the Airport and good value for money. A reasonable transit hotel located near the airport. Clean simple room. Food nice - especially after 6 nights of 'resort' food. A bit disorganised at check-in as they took about 10 minutes to find our reservation. Overall an inexpensive but okay transit hotel. We had problems with our air .conditioning. Clean basic room. Wonderful service staff. Lovely meals. Close to Nadi airport with free transfers. Good hotel, handy to airport so very suitable for that reason. Helpful staff. Easy to get to Nadi or Denarau by taxi or bus, and the ariport by hotel shuttle. 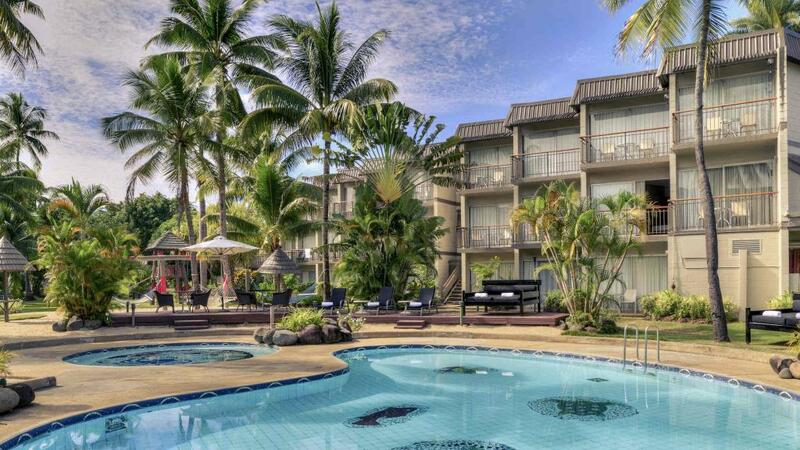 We have stayed here the last four visits to FIJI and enjoyed our stay again. Very central to most things and complimentary shuttles are handy(most hotels do this). It was good to see some familiar faces still working there and they make you feel most welcome. (Especially Sunia and Bessy in the bar). Value if not wanting to stay on the coastline or beach. The ideal place and value for money. Will be calling back for similar trips soon. We stayed 5 nights at this hotel and enjoyed it. Found the price of food and drink reasonable and the staff very friendly. It was close to a supermarket and several restaurants. Great affordable hotel close to the airport. Offers free transfer to and from the airport. Buffet breakfast is quite decent. Hotel room was nice and clean. In walking distance of a supermarket. Good for short stays or staying the the city area. We stopped here for one night either end of our holiday as it was nice and close to the airport. Rooms, staff and food were very nice!